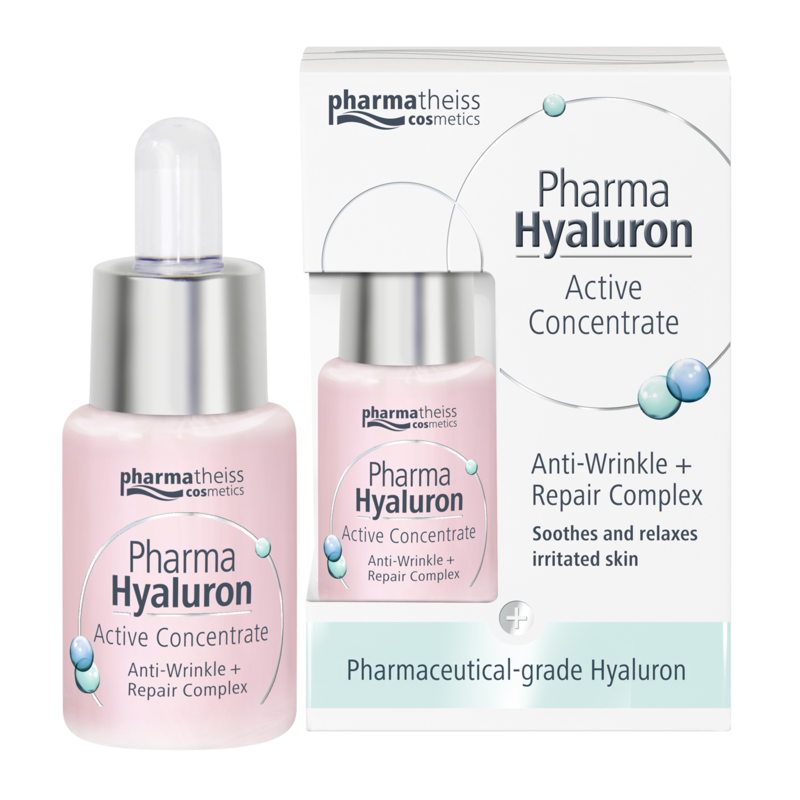 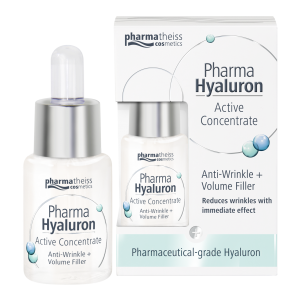 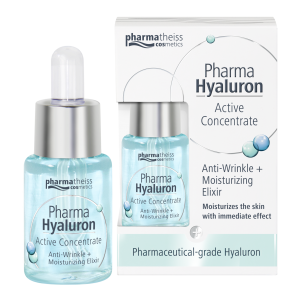 Pharma Hyaluron Active Concentrate Anti-wrinkle + Soothing elixir riduce le rughe e grazie alla particolare formulazione con Repair-Complex e Pantenolo, calma e lenisce la pelle irritata. 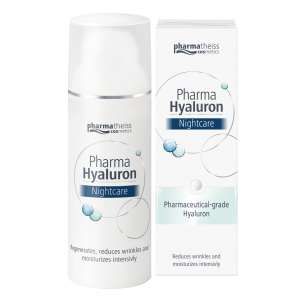 Riduce il rossore e rafforza la barriera cutanea. 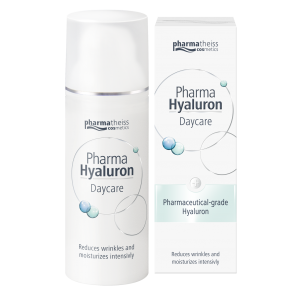 La delicata texture a rapido assorbimento lo rende ideale per potenziare l’effetto di Pharma Hyaluron Day Care o Night Care. 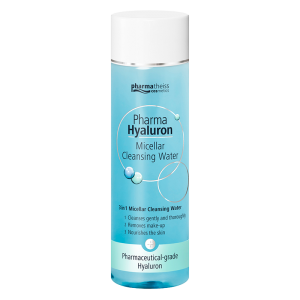 Aqua, Synthetic Sapphire, Methylpropanediol, Propylheptyl Caprylate, Dicaprylyl Ether, Glycerin, Butylene Glycol, Octyldodecanol, Panthenol, Sodium Hyaluronate, Echium Plantagineum Seed Oil, Hydroxyethyl Acrylate/Sodium Acryloyldimethyl Taurate Copolymer, Caprylyl Glycol, Cardiospermum Hali cacabum Flower/Leaf/Vine Extract, Helianthus Annuus Seed Oil Unsaponifi ables, Acetyl Hexapeptide-49, Parfum, Phenylpropanol, Tocopherol, Citric Acid, Sodium Hydroxide, Buteth-3, Tris(Tetramethylhydroxypiperidinol) Citrate, Sodium Benzotriazolyl Butylphenol Sulfonate, Tributyl Citrate, Sodium Sulfate, Sodium Chloride, Linalool, Citronellol, Butylphenyl Methylpropional, Geraniol, CI 14720.